– Are emerging treatments in Parkinson’s disease curative or just buying time? – Is a robot reading my X-rays? 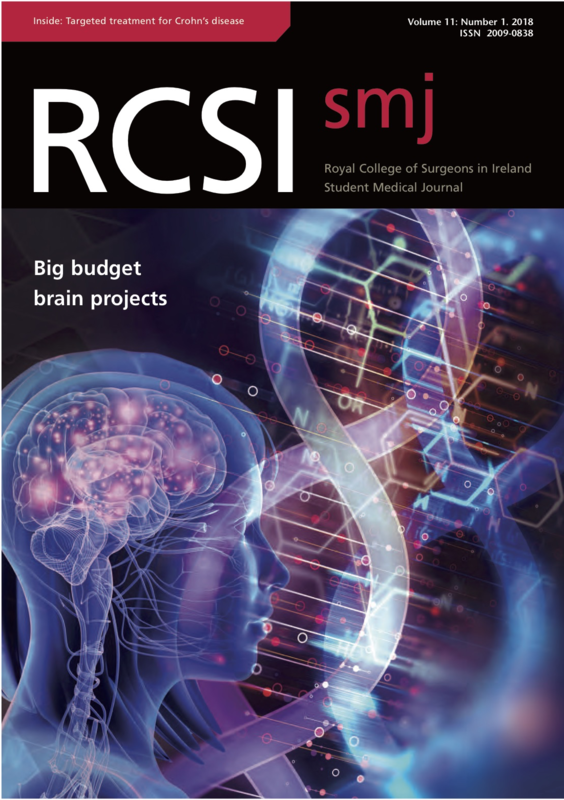 Thank you to RCSI Alumni for their continued support to us as students – providing career advice, acting as mentors, enabling electives and research, and supporting the publication of the RCSIsmj since its inception in 2008. We, as today’s generation of students and tomorrow’s generation of alumni, are very grateful for this ongoing support. A special thanks to Prof. David Smith for the time and encouragement he has given to the RCSIsmj Ethics Challenge and for his support of the annual debate. We would also like to thank the Dean, Prof. Hannah McGee, for her sponsorship, and Margaret McCarthy in the Dean’s Office for her constant endorsement and assistance.